ONCHAN, Isle of Man – September 28, 2016 – BetStars is dramatically upgrading its US sports offering to include 348 new betting markets across American Football to include National Football League (NFL) and College Football (NCAA), and Major League Baseball (MLB). 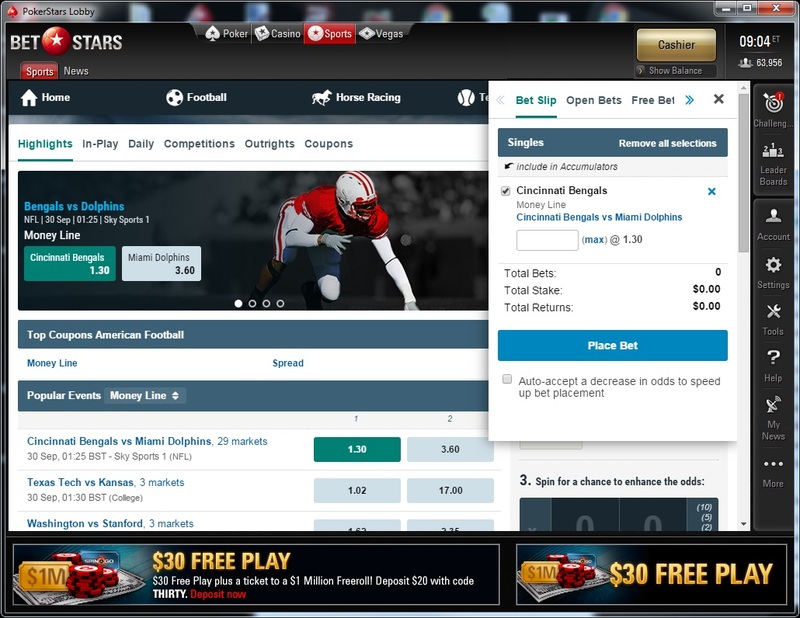 BetStars, an Amaya Inc. (Nasdaq: AYA; TSX: AYA) brand, launched the new NFL markets on the opening day of the season, ahead of the three regular season games being played in London in October. The expanded markets for college football and MLB will be available in the weeks to come. Once again there will be three NFL regular season games played in the UK this year; one at Twickenham and two at Wembley – involving the Jacksonville Jaguars vs Indianapolis Colts (Oct 2), Los Angeles Rams vs New York Giants (Oct 23) and Cincinnati Bengals vs Washington Redskins (Oct 30). BetStars customers will be able to bet on all 267 NFL regular season and playoff matches in-play this season, including Super Bowl LI in Houston, TX on Sunday, February 5, 2017. BetStars will also provide players with exciting promotions throughout the season. BetStars is a new online sports betting brand from the Rational Group, who operate the world’s largest online poker room, PokerStars. The sports betting service features a wide range of popular and specialist betting options, fantastic promotions, and exclusive new products.